Glaucoma happens to be an optic nerve disease, the part of the eye that made of up nerve fibers, such as an electrical cable that contains various wires. When any type of damage occurs to the optic nerve fibers, a blind spot will develop. These will often go unknown until the optic nerve has been seriously damaged. If the whole nerve has been destroyed, then blindness will occur. Early detection and treatment by an ophthalmologist or eye doctor are how you can prevent blindness from glaucoma and optic nerve damage. Glaucoma happens to be one of the leading causes of blindness within the United States, especially for the elderly. The loss of sight from glaucoma may often be prevented with early treatment. Clear liquid called the aqueous humor is circulating within the inside of the front portion of the eye. In order to maintain a very healthy level of pressure within your eye, a small portion of this fluid will then be produced constantly while an equal amount begins to flow out of the eye through a very small drainage system. This is not the liquid that produces within the surface of the eye via tear ducts. Due to the eye being a closed structure, if the drainage for the aqueous humor, also called the drainage angle, becomes blocked, the excess fluid will not be able to flow out of the eye. The pressure of fluid within the eye will begin to press against the optic nerve and begin to damage it. This tends to be the most common form of glaucoma within the United States. The risk of getting primary open angle glaucoma will grow with age. The drainage angle becomes less efficient as time goes by and the pressure within the eye will grow, which may damage the optic nerve. There are some people that will have the optic nerve become too sensitive even for the normal eye pressure and is at a risk for more damage. Treatment will be needed in order to prevent any type of vision loss. Normally, an open angle glaucoma will have no symptoms in the early stages, and your vision will remain normal. While the optic nerve becomes more damaged, blank spots will begin to appear within the line of vision. You won’t even notice the blank spots in your daily activities until the optic nerve has been severely damaged and the spots become too large. If your optic fibers die, you will become blind. There are some eyes that are formed with your iris, or the colored part of your eye to close to your drainage angle. These types of eyes are often farsighted and small. The iris can be pushed forward, which blocks the drainage angle completely. Since the fluid is unable to exit the eye, pressure will build and will cause a closed angle attack. This is an eye emergency. If you have these symptoms, contact your ophthalmologist right away. Unless this type of glaucoma is treated quickly, you can go blind. 2/3 of those who have closed angle glaucoma will develop it slowly without any type of symptom before an attack happens. Your eye doctor may consider various information in order to find out if you are at risk for developing the disease. Your ophthalmologist will weigh in on all of these particular factors before actually deciding on a treatment for glaucoma or if you should be monitored for potential glaucoma diagnosis. This means that you may be at risk for developing glaucoma is a lot higher than the average, and you should have regular examinations in order to have early detection for signs of damage to your optic nerve. Regular eye exams by your eye doctor are the best way to detect glaucoma. A screening for glaucoma that checks the pressure of your eye isn’t sufficient enough to determine if you may have glaucoma. The only way to ensure detection of glaucoma is to have a full eye exam. Photographing your optic nerve and other types of computerized imaging may be recommended. There are some of these tests may not be needed for everyone and they may need to be repeated on a regular basis in order to monitor any changes in your condition. As a rule, the damage that is caused by glaucoma will not be reversed. Lowering the eye pressure on your eye is the only proven way to treat glaucoma. Eye drops, laser surgery and operating room surgery are used to lower the pressure in the eye and help to prevent any further damage. There are some instances where an oral medication may be prescribed. Just as with any type of glaucoma, exams are vital to prevent any vision loss. Glaucoma may progress without any type of knowledge, adjustments of your treatment may be needed periodically. Glaucoma is normally controlled with eye drops that are taken daily. These medications will lower the eye pressure by decreasing the amount of aquaeous fluid or by improving the flow through the drainage angle. Never change or stop taking your medications without consulting your eye doctor. If you believe or know that you are about to run out of your prescription medication, you should speak to your ophthalmologist and ask for a refill on your prescription. Glaucoma medications are able to preserve your vision, but they have side effects. 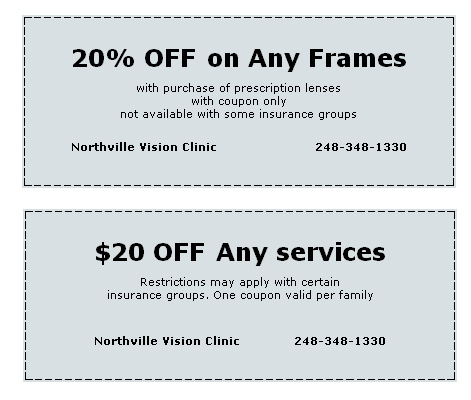 You should talk to your eye doctor if you are, or believe that you are experiencing side effects. All medications may have a side effect or it can interact with other types of medications that you may be taking. It is important that you take a list of medications that you take regularly to your eye doctor that you see. Having laser surgery treatment may be recommend for various types of glaucoma. In the open angled glaucoma, the drain is what is treated. The laser is then used to recreate the drainage angle to help eye pressure which is called trabeculoplasty. In instances of closed angle glaucoma, a laser will create a hole within the iris to help improve the flow of the fluid to the drainage angle called iridotomy. When surgery is done in the operating room to treat glaucoma, your eye doctor will use microsurgical instruments in order to create a new drainage channel for the aqueous fluid to leave your eye. Surgery is only recommended if your eye doctor feels that it is needed to prevent any further damage to your optic nerve. Just like with laser surgery, it is normally done as an outpatient procedure. Treatment for glaucoma takes teamwork between your doctor and you. Your eye doctor is able to prescribe treatment for your glaucoma, but only you are able to make sure that you are following the instructions by the doctor and using your eye drops. Once you are taking medications for glaucoma, your eye doctor will want to see you more often. Normally, you are expected to see your eye doctor ever 3 to 6 months. This does vary depending on the types of needs that you have. 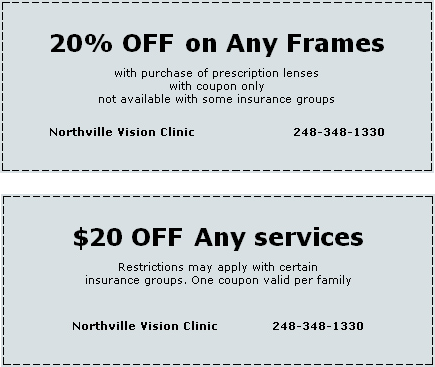 Regular medical eye exams can help to prevent unneeded vision loss. People at any age with risk factors or symptoms of glaucoma such as those with diabetes, of African descent, or a family history of glaucoma, should see an eye doctor for an eye exam. Your eye doctor will let you know how often you should return for follow up visits. Adults that have no risk factors or symptoms for eye disease should have a complete screening when they turn 40 years old. This is the time when signs of disease and changes in vision can begin to happen. Based on the results that you have at your initial screening, your eye doctor will let you know how often you need to have follow up appointments. Adults that are ages 65 or older should have an eye exam ever year or two or as recommended by an eye doctor.